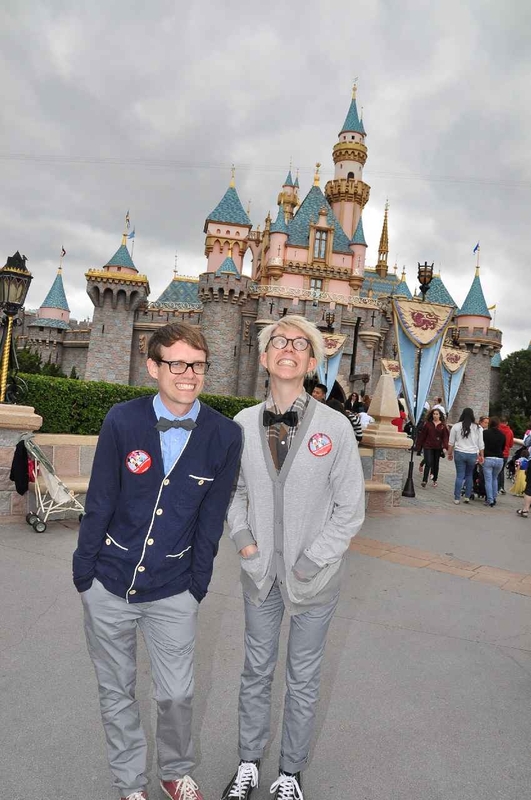 Disney Hipster Blog: Hey, We're At Disneyland. After a long three year absence Adam and I are finally back at the Disneyland Resort. Its funny all the things that can happen in three years. Last time we were at Disney California Adventure there was no Buena Vista Street. No Cars Land. Heck, there was no Disney Hipster Podcast to report about our trip! Even this blog was only about 8 months old. Anyway, this post is here basically to say: Yay. But it is also here as a stop gap until after we get back from our trip. You see, I could prep this blog to auto publish pre-written blogs as I often do during Disney World trips. But I thought I'd give myself a little break and leave the worry back on the east coast. Because I know that a lot of you like to follow along on our trips I'll make sure to keep you up to date via social media...so make sure you're following along on Twitter, Instagram, and Periscope. Yes, we will probably be Periscoping quite a bit.